Making the most of a Special Event! Express & Create is proud to be a part of any type of event! We can offer our services for Weddings, Showers, Bachelorette/Bachelor Parties, Birthday Parties, and more! 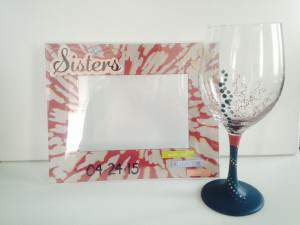 We can create custom bridesmaids gifts, centerpieces, or even table cards! Take a look at some of the pieces we have created! Give us a call today and find out how we can help make your special event even more amazing! Schedule a free consultation today to discuss your needs for your upcoming event! We all know that weddings wouldn’t be half of what they are without our ladies standing by our sides! What can you give your ladies to prove how special they are? 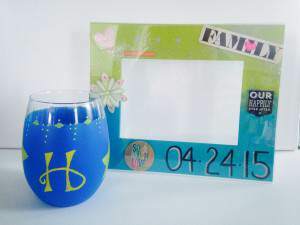 Custom created gifts, of course! 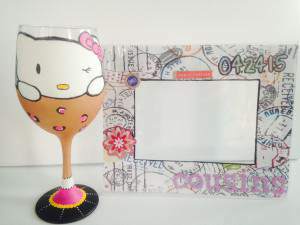 We can create custom glasses, frames, and so much more. Check out these beautiful pieces we created for a group of bridesmaids and ceremony participants! Looking for a special touch to your wedding tables? Contact us today to find out what we can offer! 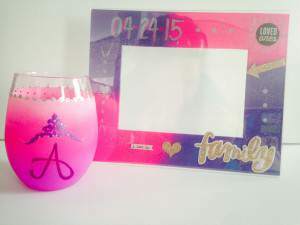 We can create custom table cards for your special themed wedding. Speaking as someone who had a Dr. Seuss wedding, I can certainly understand how important it is to add those special touches to something as simple as a table card to help convey the special couple’s personality! 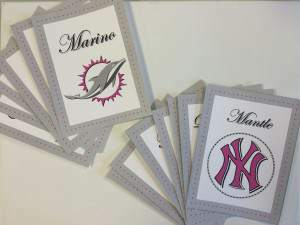 Check out these custom Miami Dolphins and New York Yankees table cards we created for a recent wedding. The Bride & Groom wanted to show their love and support for their favorite teams by using past and present players for the table names. It was a huge hit! Centerpieces at a Shower, Birthday Party, or Wedding can make a huge difference when looking for that ‘wow’ factor at your event. The possibilities for centerpieces are endless! 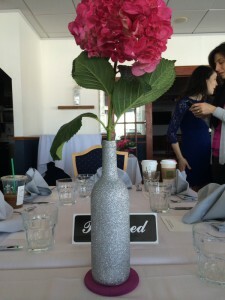 We created these beautiful glitter bottle vases for a recent Wedding Shower. We do have these centerpieces available for rental for your next event. You can Contact Us today for more information. Not a fan of silver glitter? 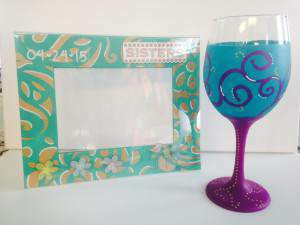 We can create special centerpieces to match any color in your wedding.